Hearing the call to protect your kingdom, you quickly don your trusted helmet. The Manolo Steel Barbute, based on 15th century Italian designs, protects your skull, back of your neck, and sides of your face without hindering vision. Handmade from steel, this rounded helmet is distinguished by its close fit and T-shaped face opening. 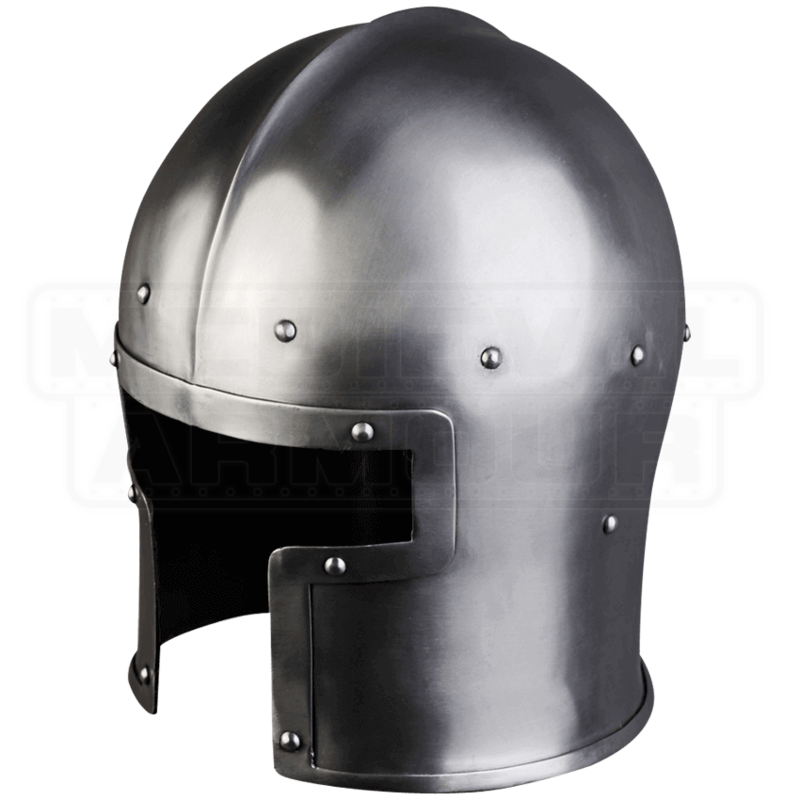 Inspiring many helmets of fantasy, this historic helmet suits a variety of characters, particularly soldiers and warriors who prefer a practical yet well protected look. 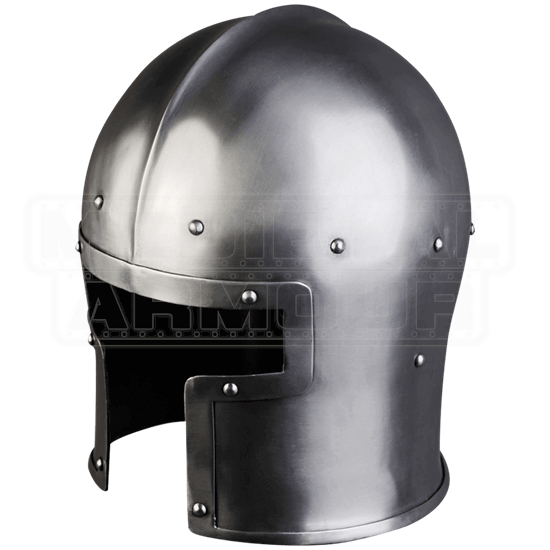 Great for LARP and costume use, this steel barbute features an inner lining of cotton covered foam but is safer and more comfortable when worn over a padded arming cap. Its adjustable leather chin strap secures it in place when you wear it to your next medieval or Renaissance-themed event.